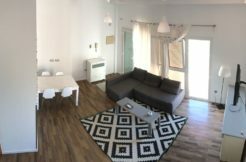 Very interesting price for this first floor apartment located in a very central building of Corralejo. Completely furnished and ready to live in or let, it boasts of one double bedroom, on bathroom, open plan kithcen and living room. Good location, close to all amenities and at a walking distance from the beach.